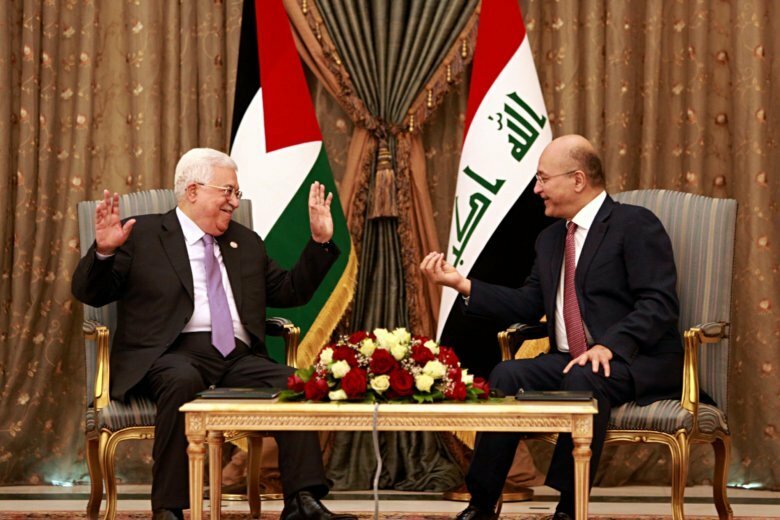 On Monday, Abbas held talks with President Barham Saleh a day after he met with Prime Minister Adel Abdul-Mahdi. Both leaders expressed the importance of Jerusalem to the Palestinian people. The Trump administration has cited the reluctance of Palestinian leaders to enter peace negotiations with Israel as the reason for taking punitive measures such as slashing hundreds of millions of dollars in humanitarian aid to the Palestinians.